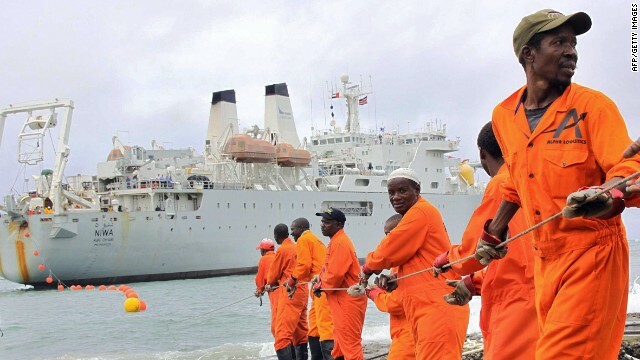 Workers haul part of a fiber optic cable bringing internet connectivity to East Africa onto the shore in Mombasa, Kenya in 2009. Today, 4.4 billion people -- more than half of the population of the Earth -- remain without internet access. It's a problem that a number of organizations -- from Google to startups -- are trying to tackle using everything from balloons to drones. 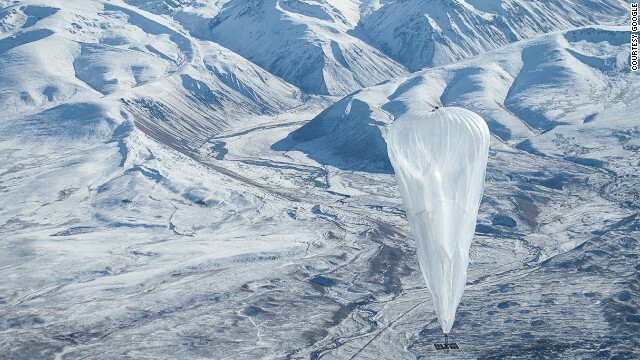 Project Loon is an initiative launched by Google in 2013, which aims to connect the planet by beaming internet signals from high-altitude balloons like this one floating above snow-covered peaks on New Zealand's South Island. Project Loon uses a network of high-altitude balloons that float in the stratosphere about 20 kilometers (11 miles) above the Earth -- twice the height that commercial jets fly at. The balloons are steered by ascending and descending to catch a ride on the stratosphere's strong, reliable weather systems. 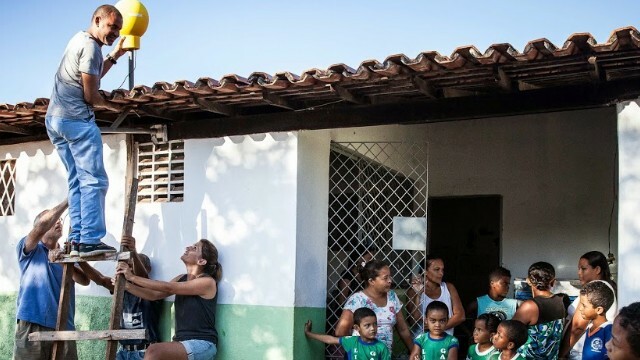 The balloons communicate with specialized internet antennas on the ground, like this one being installed as part of a trial at a rural school in the state of Piaui in northeastern Brazil. 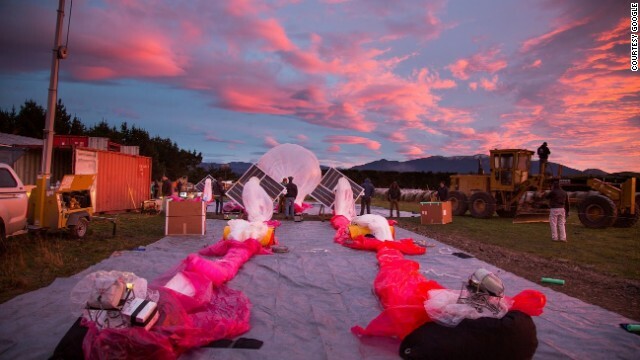 Each balloon communicates with neighboring balloons and then back to a ground station connected to a local internet provider. The idea, Google says, is that this would create "a network in the sky." In 2013, Facebook partnered with six other tech industry leaders including Ericsson and Qualcomm to launch Internet.org, an organization dedicated to bringing the internet to the "world's population that doesn't have it." 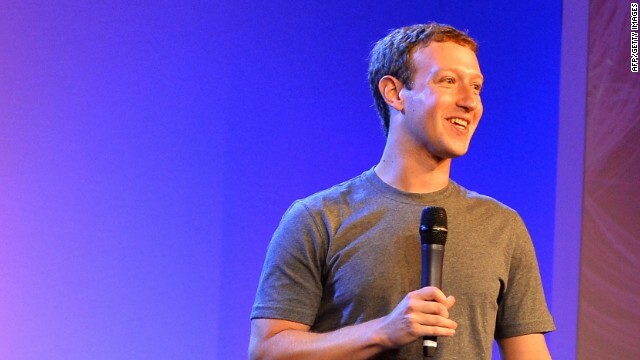 Pictured is Facebook founder Mark Zuckerberg at the 2014 Internet.org summit. 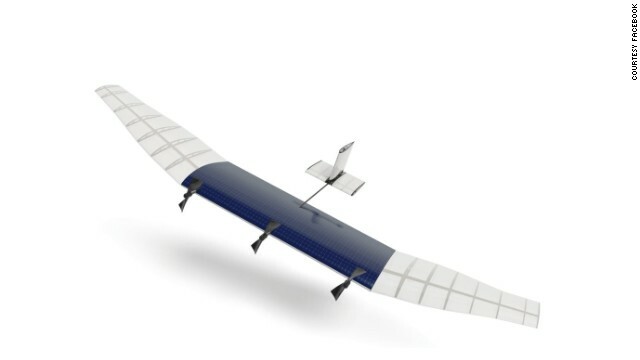 One idea being developed by Facebook's Connectivity Lab is solar-powered, high-altitude aircraft (like the one in this graphical representation) that can be deployed for months to deliver internet connections. The drones would fly at 65,000 feet and, according to Facebook, would be able to " broadcast a powerful signal that covers a city-sized area of territory with a medium population density." Facebook's research shows that around 80-90% of the world's population lives in areas already covered by by 2G or 3G networks, usually urban or semi-urban areas where this infrastructure has been put in by mobile operators. "For most people, the obstacles to getting online are primarily economic," it adds. The remaining people often live in "some of the most remote places on Earth" so it is impractical to use the same infrastructure that you would in urban areas. 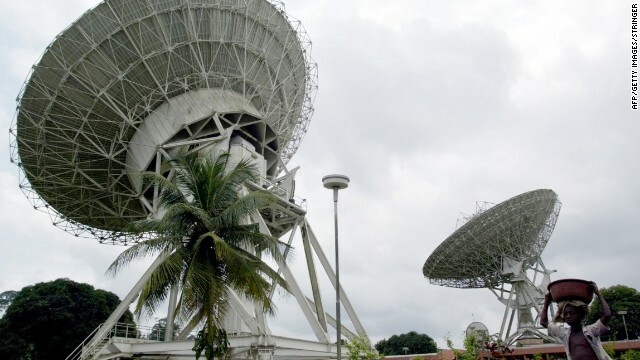 Pictured are satellite dishes in a telecommunications center near Abidjan in the Ivory Coast. In remote places with much lower populations than somewhere like Abdijan where the connectivity doesn't have to be so dense, Facebook is looking at using low-Earth orbit and geosynchronous satellites to beam the internet down over wide areas. 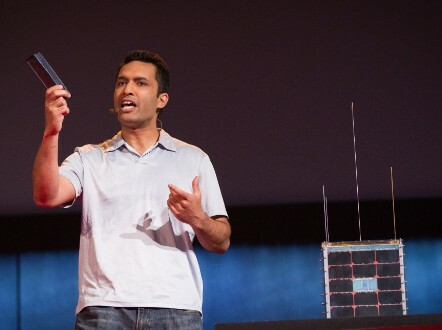 Outernet founder Syed Karim at TEDGlobal 2014. Outernet describes itself as "humanity's public library" and is aiming to get information from the internet to the world's unconnected. It works by saving information from websites like Wikipedia as digital files and broadcasting them down from satellites. Anyone with a receiver can access the information. Outernet has successfully crowdfunded the money to fund their Lantern receiver, which continuously receives radio signals broadcast by Outernet from space and turns them into digital files. Any wifi-enabled device can connect to Lantern at a hotspot. 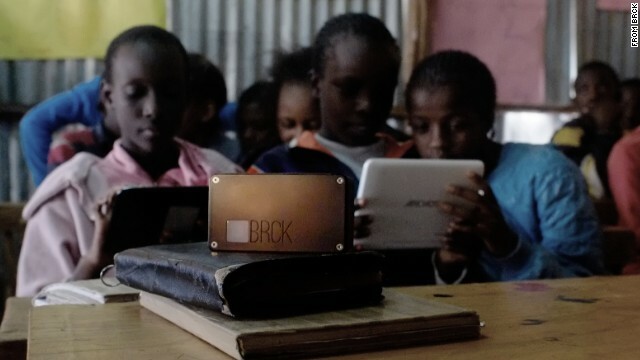 BRCK is a self-powered, wifi device that was designed and prototyped in Kenya by the founders of real-time site Ushahidi. As the name would suggest, it is a rugged, brick-like device that they describe as "the internet's back up generator." 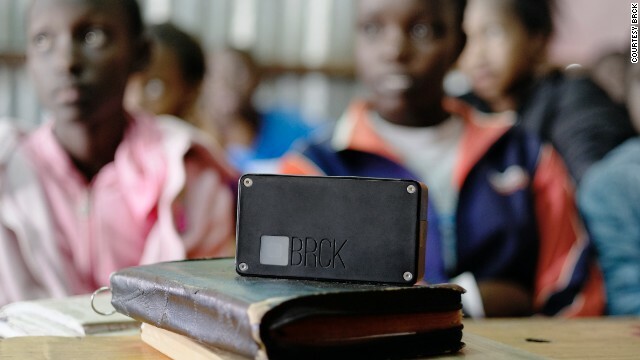 Insert a 3G-enabled SIM card into a BRCK and it will broadcast a wifi signal to which up to 20 devices can connect. 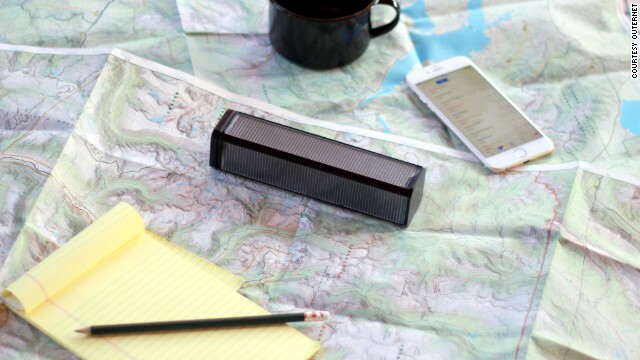 It is designed so be resistant to dust and being dropped and can be charged from a solar panel, car battery as well as a computer. The designers say it will work in 140 countries. Editor's note: Syed Karim is the founder and CEO of Outernet Inc. Prior to Outernet, he spent three years with Media Development Investment Fund where he managed a seed fund for news and information startups in emerging markets. (CNN) -- My father grew up about two hours east of Calcutta. I remember him telling me that on a number of occasions, and at the behest of his father, he would read the dictionary by the light of a hurricane lamp. Not only was there little else to read in English, but once the sun set, light also became a luxury. 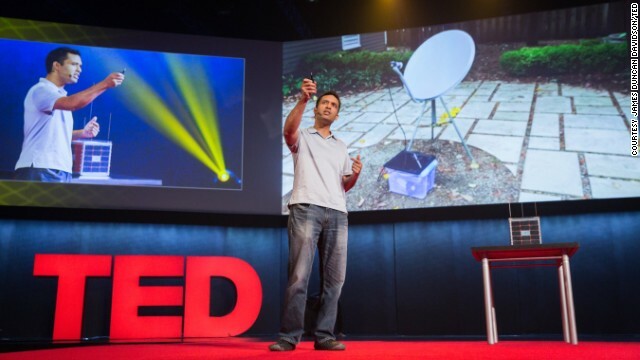 Outernet founder Syed Karim explains his plan to get information from the web to the half of humanity that currently lacks access to it at TEDGlobal 2014. It was rural East Pakistan in the 1950s. His middle class upbringing couldn't compensate for the lack of municipal infrastructure; no power lines, no paved roads, and definitely no public library. Instead, his connection to the outside world was limited to one or two new books a year, imported from London, and whatever news and information came through the shortwave radio that he built with strands of copper and a crystal diode. After innumerable nights reading the prose of Merriam Webster, my father eventually emigrated to the United States to become a successful engineer with numerous patents to his name. My childhood in the suburbs of Chicago was a completely different experience -- it was filled with television, after-school programs and hours of meandering around the local public library. Information abundance has had a lasting impact on my interests, my education, and my ambition. After years of studying the subject, both formally as a graduate student and informally as an entrepreneur, there is little doubt that increasing information access leads to a direct increase in quality of life. But the problem is not in acquiring a wealth of information, the problem is in distributing it. There is little doubt that increasing information access leads to a direct increase in quality of life. The internet is a very effective means of distribution. 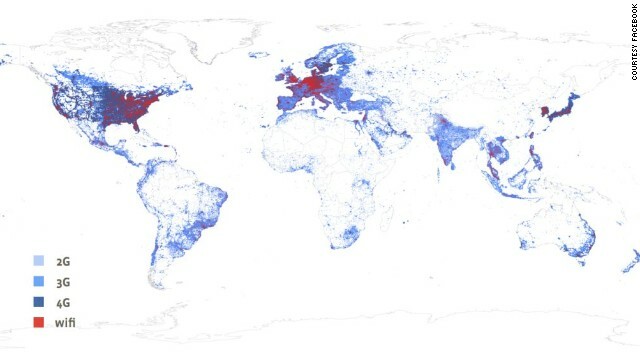 The problem, however, is that over four billion people -- more than half the world's population -- lack a connection to it. This is a huge number and a huge problem that is not likely to be solved anytime soon. Despite the advent of an affordable $35 smartphone, internet access continues to be unaffordable or unattainable for billions all over the world. Now really think about what that means: More than half of humanity lacks access to the news, information and education that many of us take for granted. As a species, we are operating at less than half of our capacity because the majority of our minds are malnourished. But imagine if there was a way to feed a hungry mind without charging a dime? Imagine if there was a way to provide the unconnected world with free access to the wealth of human knowledge in Wikipedia? Imagine if we could offer a digital information service to all of humanity, regardless of income, infrastructure, or jurisdiction. 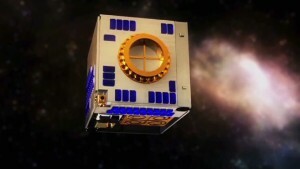 Tiny cubes will beam internet from space? Even with a 50 Mbps connection to the internet, the value of a library, whether physical or digital, has never escaped me. It is this respect for knowledge and personal edification that led to what we refer to as "humanity's public library" -- Outernet. Outernet is a global broadcast data service, which gives access to information to the billions of people whose information needs are currently not being met. Unlike Google's balloons and Facebook's drones that aim to carry internet access for a fee, Outernet provides access to information for free. It does this by assembling offline versions of digital media that is normally found on the web, like Wikipedia, Khan Academy and Project Gutenberg. The content is then beamed down from space. The best way to think about Outernet is as a cross between FM radio and BitTorrent. Instead of music, Outernet broadcasts digital files and instead of radio towers, we use a network of satellites. Just before I founded Outernet, my daughter Faraday was born. She is named after one of the greatest scientists in history, Michael Faraday. Born in the 18th century, Faraday was not a son of privilege and although he received little formal education, he was lucky enough to apprentice for a bookbinder. Imagine if there was a way to feed a hungry mind without charging a dime? Through this fortuitous access to books, he was given a key to the foremost thinkers of his time. He was lucky enough to consume the kind of knowledge and information that normally existed in only the most exclusive private libraries. He was in the right place at the right time, and it allowed him to fundamentally change the trajectory of our species. Stories like that of my father and Michael Faraday have run their course and no longer need to exist. They belong in history books that, along with thousands of other books, can now be read by anyone in the world, for free. This year, African entrepreneurs built businesses to solve the continent's problems. Here are 10 you should know about. South Africa -- and other African nations -- are investing in space programs to create valuable new industries. Your next medication: A phone app? Sweat sensor strip, prescription-only apps, light for health: Health tech is going to be huge in 2015. New venture by South Africa's answer to Howard Stern aims to revolutionize radio. Founder of e-shopping sensation Mercado Libre predicts next year's big successes. Could the Peek smartphone app change the way we look at eyes? Think you know the Web? Sure, everyone reading this uses the Internet. But how much do you really know about it? Drones can already deliver pizzas and monitor endangered species. Now there's one that can independently follow people. A tech entrepreneur has developed a low-cost seismic warning system that could save thousands of lives in Mexico. Cooling internet's appetite for power? The sub-zero climes of Scandinavia are an unlikely outpost for the world's hippest tech firms. But that's where an increasing number are pitching up. Machines are catching up to humans in intelligence. Could the robots soon be coming for your job? The mind-boggling world of big data petabytes and zettabytes explained in seven simple graphs. As a kid, Kirk Goldsberry was a rabid basketball fan. Now he's plotting the future of the sport. Quantum computing could bring about a new era in processing power that promises to revolutionize everything from artificial intelligence to high finance. Are you the cyber weakness? With cyberattacks on the rise and here to stay, it's a modern-day challenge for financial institutions, businesses and people to get smarter about preventing them. Can Alibaba topple Silicon Valley? Internet giant Alibaba has secured its place in history as the largest U.S.-listed initial public offering (IPO) of all time.